Business leaders in the Saginaw-Midland-Bay City region hope entrepreneurs will fill the employment gap left by layoffs by major local employers. The College of Education at Eastern Michigan University is laying off the majority of its full-time lecturers because of falling enrollment. 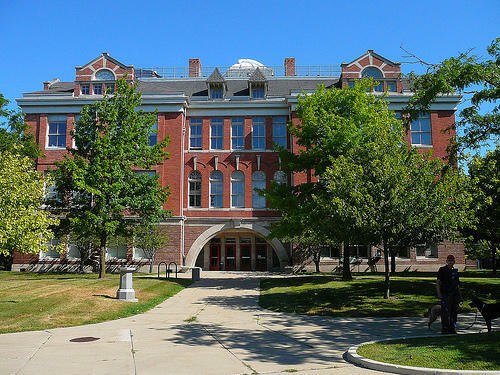 The school has issued layoff notices to 10 of its 11 full-time lecturers, effective in August, according to members of lecturers union. (EMU officials say they issued notices to eight lecturers.) Lecturers, many of whom have held their jobs for several years, are upset by the changes and say the layoffs are unnecessary. Jann Joseph, EMU's dean of education, says the opposite is true. "We looked at the data. We looked at the enrollment patterns, and we were not convinced that we would have enough teaching loads and classes for all the people who were currently lecturers," she said. "We are just managing at a time of decline." Unionized state employees received notices earlier this month that layoffs may be coming as a result of funding cuts due to the federal sequester. The notices were dated March 8, but were only made public this week.The state is required to give 30-day's notice before any layoffs. The earliest any could occur would be April 8. Kurt Weiss, a spokesman for the Department of Technology, Management and Budget, said the state still isn't sure what will be cut. "That's the hard part right now, we don't know exactly where the cuts are coming," Weiss said. "We're waiting for further guidance from the federal government. We expect the cut level will be somewhere around $150 million total, but whether that will result in layoffs or not, we just don't know yet." Nobody thought fixing Detroit’s debt woes was gonna be easy. But these days, it might be especially painful for city workers and their families. Some 2,000 pink slips have already gone out in the last few years. And now, another 500 cuts are scheduled for February. FLINT, Mich. (AP) - The Flint school board has voted to lay off 237 teachers as part of an effort to eliminate an estimated $20 million deficit for the coming year. The board voted Tuesday to lay off 108 elementary and 129 secondary school teachers. Earlier this month, Mlive.com (http://bit.ly/JnOdC1 ) says the board voted to close both middle schools, along with Bunche and Summerfield elementary schools. 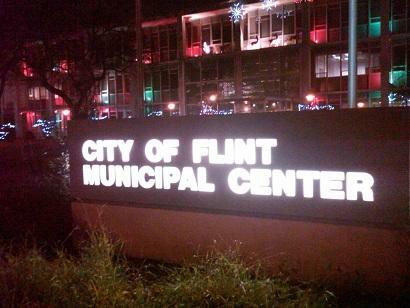 Next year, the city of Flint will charge residents higher fees in exchange for less service. The budget plan unveiled last night was greeted with anger from city residents and city council members. The budget plan calls for trimming 20 percent of city government workers from the payroll. Flint police officers and firefighters are not being spared. The emergency manager didn't include public safety officers in the budget whose positions are funded with grant money that hasn't been secured yet. 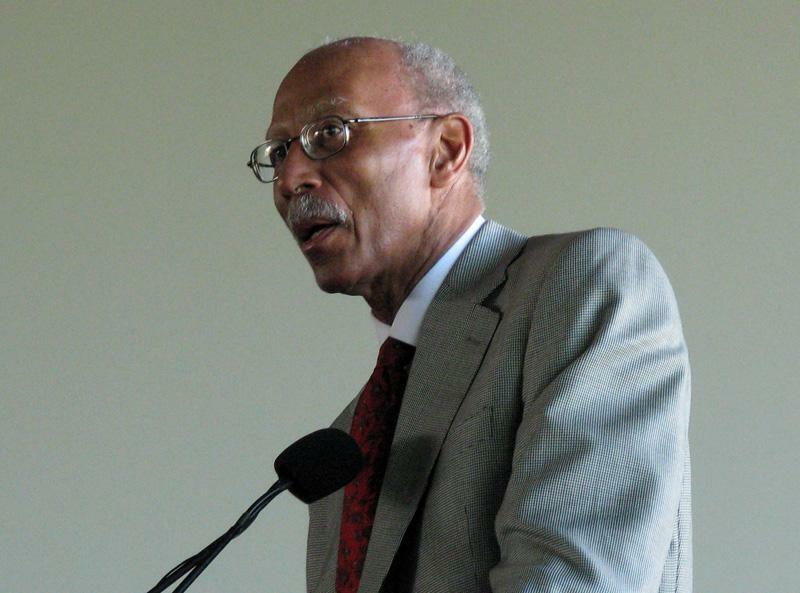 DETROIT (AP) - Detroit Mayor Dave Bing has laid out a budget proposal that would cut more than 2,500 jobs and shave $250 million from the city's annual expenses. Bing's Chief Operating Officer Chris Brown told City Council members Monday the layoffs would be in addition to 1,000 job cuts Bing sought earlier. Brown says the city's general fund revenues will decrease from $820.5 million to $739 million. 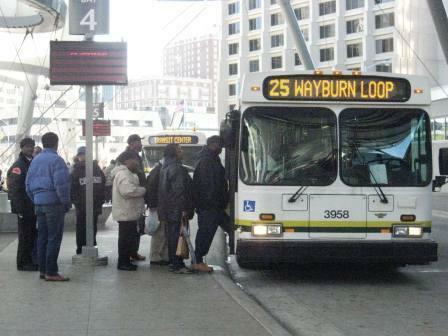 Detroit has an accumulated budget deficit of $265 million and $13.2 billion in long-term, structural debt and is trying to fix its finances after agreeing to state oversight Bing's budget proposal also calls for privatizing the city's bus system and transferring its lighting department to an independent authority. The Detroit News and Detroit Free Press say $75 million would go toward the city's accumulated deficit. The Flint City Council will hear this afternoon how the city’s emergency manager plans to spend the city’s money next year. Brown’s budget plan for next year is expected to reflect the need for further financial belt tightening for a city that has already felt the pinch of past cuts. Flint’s finance director has said the budget will probably show the city will have to do “less with less.” That may include layoffs and furlough days for city employees. Several city unions agreed to contract concessions this month. The emergency manager’s budget plan may also include selling bonds to address Flint’s long-term debt problem. 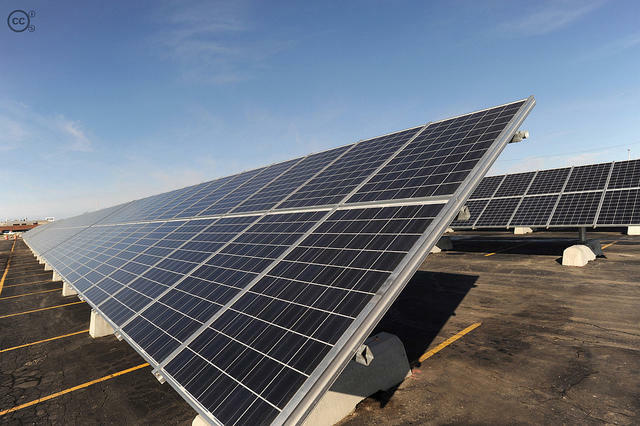 AUBURN HILLS, Mich. (AP) - Solar energy product maker Energy Conversion Devices Inc. says it has temporarily suspended manufacturing and is planning about 500 job cuts. The Auburn Hills-based company announced Tuesday that manufacturing has been halted because of excess inventory. 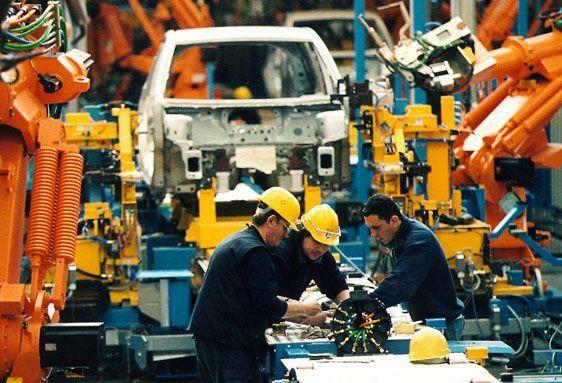 The company says about 400 workers will be furloughed at its manufacturing facilities in Michigan, Mexico and Ontario, Canada. The production cuts include United Solar Ovonic facilities in Greenville, where more than 140 layoffs recently were announced. Other Michigan manufacturing facilities are in Auburn Hills. The company said that to help cut costs about 500 full-time job cuts were expected by the end of the year. Energy Conversion Devices has been restructuring its operations since May. It said it expects to return to normal production levels within 60 days. If the constant stream of what seems like contradictory economic news leaves you feeling confused, join the club. These are all true stories about the third quarter. Bob Tomarelli is an analyst with IHS. He says the stories just reflect different aspects of the economy. Tomarelli says most of the 100,000 jobs added in the third quarter were in professional business services and manufacturing. But he says that boost is probably temporary. 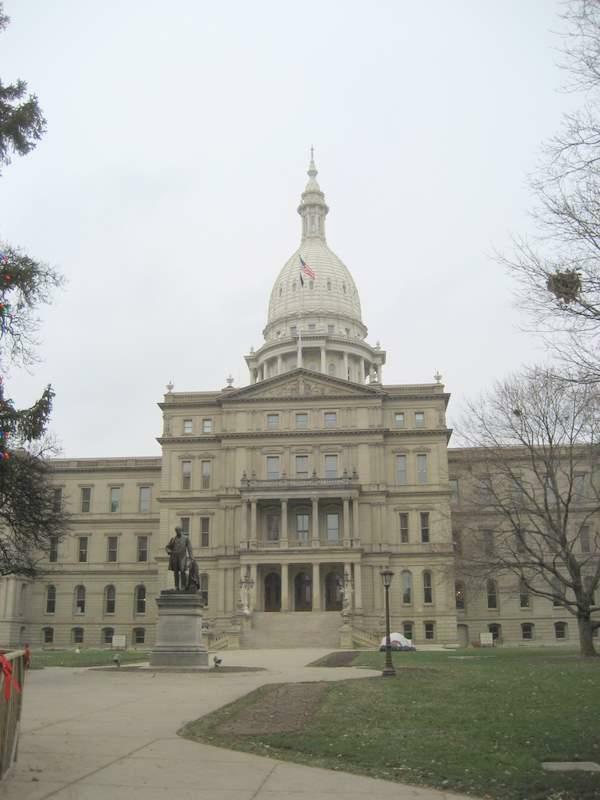 Most of Michigan’s 29,000 layoffs were in government and financial sectors. The Lansing city council voted 5 to 3 last night to approve a city budget that deeply cuts police and fire in the capitol city. 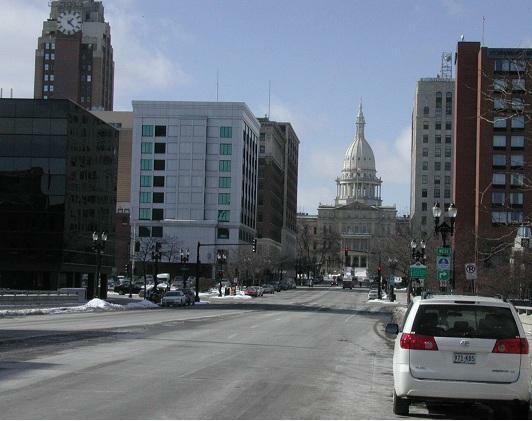 Lansing, like many Michigan cities, is struggling with declining tax revenues and rising health care costs. Last night, the city council approved a budget that lays off more than a hundred city employees, including dozens of police officers and firefighters. Lansing mayor Virg Bernero says the cuts in public safety are unavoidable. 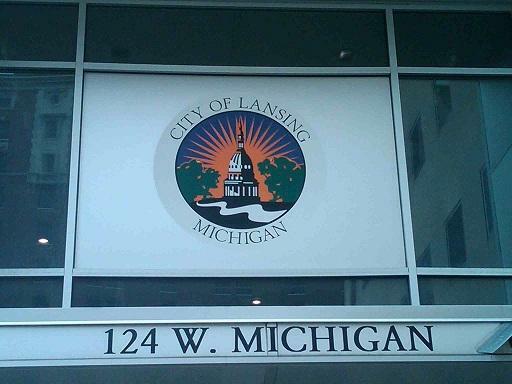 The city of Lansing is facing a projected $20 million dollar budget deficit. On Monday, the city council is scheduled to vote on a budget intended to close that gap. As it stands now, the city may have to lay off dozens of police officers and firefighters, as well as making other painful spending cuts to balance the budget. Lansing police officers are waiting to see if they will receive layoffs notices. The city council next week is expected to approve a city budget that will include deep budget cuts in public safety. The city is facing a 20 million dollar budget deficit. Layoff notices are being delivered to each and every teacher in the Detroit Public Schools. 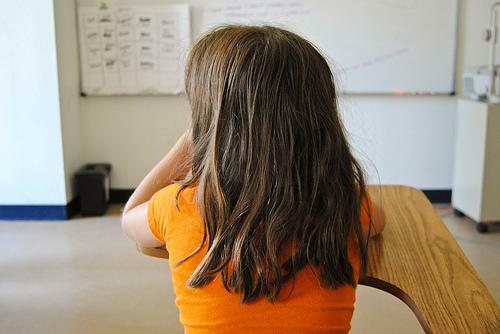 It’s an unprecedented move for the troubled school district. Hundreds of teachers have been issued notices in previous years. But Emergency Financial Manager Robert Bobb says the circumstances are different this time around. "This year, because of our declining student enrollment, because of the possibility of some of our schools becoming charters, and of course school closures, we decided to send layoff notices to our entire membership." 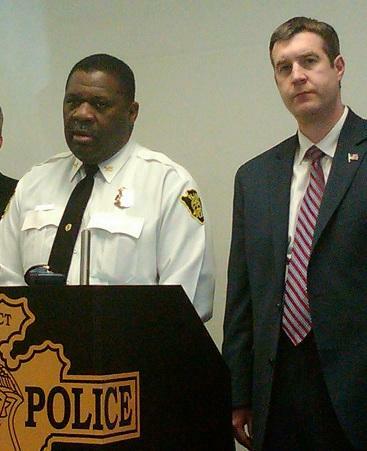 Flint police believe there may be some link between the city’s more than 20 recent homicides. And now, city officials are asking for the public’s help. Flint Mayor Dayne Walling set the tone at a news conference Tuesday about the recent surge of murders in his city by saying, "the killings and criminals must be stopped." Flint’s murder rate is on pace to set a record. Last year, Flint recorded 66 murders, which was a record. The city already has more than 20 homicides this year. Flint Public Safety Director Alvern Lock expresses some frustration at the rising violence. Lock says they have suspects or people charged in 14 of the 21 murders in Flint this year. He says police suspect a connection in some of the cases, but they can’t prove that connection right now. Lock denies that cuts to Flint’s police department have played a role in the increase in the city’s increase homicide rate. The city has eliminated more than 100 positions in the police department since 2008. Flint faces serious budget problems. The city is struggling to absorb a nearly $20 million budget deficit. The state recently approved the city’s plan to sell $8 million in bonds to reduce its debt. The city has also laid off a hundred workers this fiscal year. This evening, the city is expected to take another, though much smaller step to reduce spending. Flint’s Local Officers Compensation Committee meets tonight to decide whether to impose a ten percent pay cut for the mayor and city council. The cut would translate into about a ten thousand dollar cut in pay to the mayor and a few thousand dollars each for Flint’s 9 city council members. 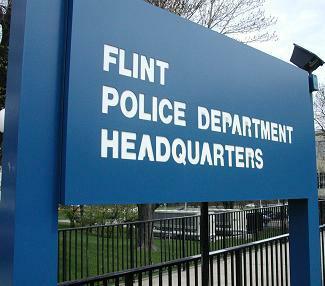 The Flint Police Department is closed on the weekends following the latest round of officer layoffs. The Flint Journal reports new office hours took effect Saturday, the day after 20 police officers were laid off. Flint Mayor Dayne Walling laid off a total of 66 police officers this year to cope with a multi-million-dollar deficit. The city also made other cuts. Flint has set a new record for murders in the city in a single year. This comes at a time when the city plans to lay off 20 police officers later this week. Flint recorded its 62nd murder of the year on Monday. That broke Flint’s previous record of 61 murders in a year set back in 1986, when the city of Flint was much larger. There are no suspects in Flint’s 62nd homicide of the year. And beginning Friday, there will be fewer police officers in Flint. The city of Flint has started sending out layoff notices to city employees. But so far, none of the notices have gone out to those who work in public safety. 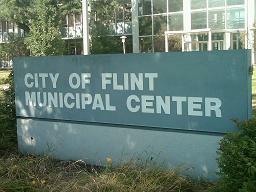 The city of Flint is wrestling with an estimated 5 million dollar short fall in this year’s city budget. The mayor wants the city’s unions to absorb about half of that deficit with double digit wage and benefit concessions.